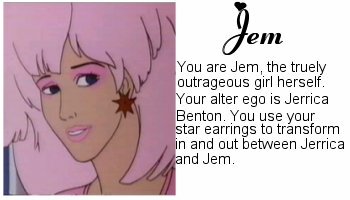 Welcome to Jem's Hall in Land of Mystacor. 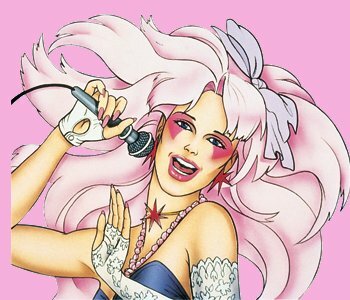 Updates for the Jem and the Holograms Hall!! I finally got all of this Hall finished! There are still some "Holograms Friends" bios that I don't have, but I can't find a picture of them either, so be patient! Other than that, this Hall is done!! What Holgrams Character are you? All material is � and � by their respected owners. All rights reserved. Use of copyrighted and trademarked material is for entertainment purposes only; no infringement on the original copyrights or trademarks held by the respected owners is intended or should be inferred.